↑ Parth R. Chauhan. "An Overview of the Siwalik Acheulian & Reconsidering Its Chronological Relationship with the Soanian – A Theoretical Perspective". Sheffield Graduate Journal of Archaeology. University of Sheffield. अभिगमन तिथि 27 मार्च 2014. ↑ Joseph Needham (1994). A selection from the writings of Joseph Needham. McFarland & Co. पृ॰ 24. आई॰ऍस॰बी॰ऍन॰ 978-0-89950-903-7. When the men of Alexander the Great came to Taxila in India in the fourth century BC they found a university there the like of which had not been seen in Greece, a university which taught the three Vedas and the eighteen accomplishments and was still existing when the Chinese pilgrim Fa-Hsien went there about AD 400. ↑ Hermann Kulke; Dietmar Rothermund (2004). A History of India. Routledge. पृ॰ 157. आई॰ऍस॰बी॰ऍन॰ 0-415-32919-1. In the early centuries the centre of Buddhist scholarship was the University of Taxila. ↑ Balakrishnan Muniapan; Junaid M. Shaikh (2007). "Lessons in corporate governance from Kautilya's Arthashastra in ancient India". World Review of Entrepreneurship, Management and Sustainable Development 2007. 3 (1): 50–61. डीओआइ:10.1504/WREMSD.2007.012130. ↑ Radha Kumud Mookerji (1951) [reprint 1989]. Ancient Indian Education: Brahmanical and Buddhist (2nd संस्करण). Motilal Banarsidass. पपृ॰ 478–479. आई॰ऍस॰बी॰ऍन॰ 81-208-0423-6. 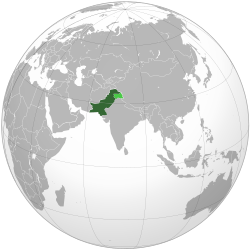 ↑ "Pakistan: The lesser-known histories of an ancient land".